OECD Forum 2018: Demographics and Politics | The Forum Network, hosted by the OECD: Shape ideas. Shape policy. Shape the Future. 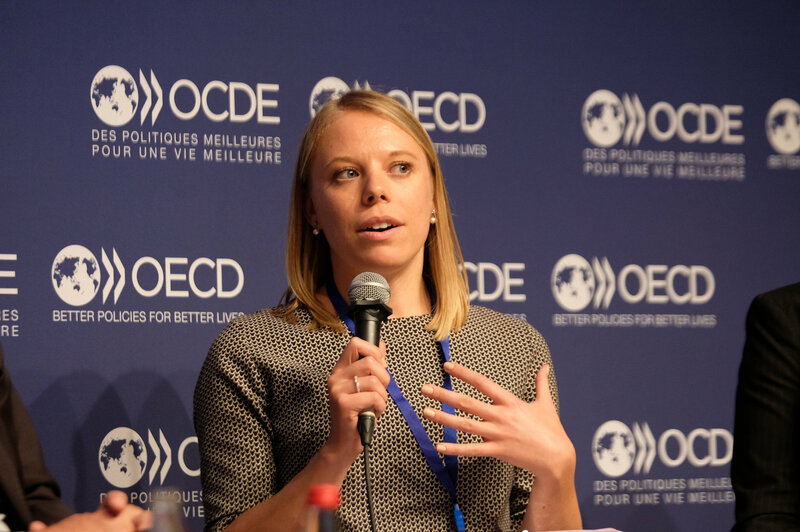 In recent years, OECD countries have been confronted with deep economic, technological and generational change that has strongly impacted patterns of electoral behaviour and political engagement. 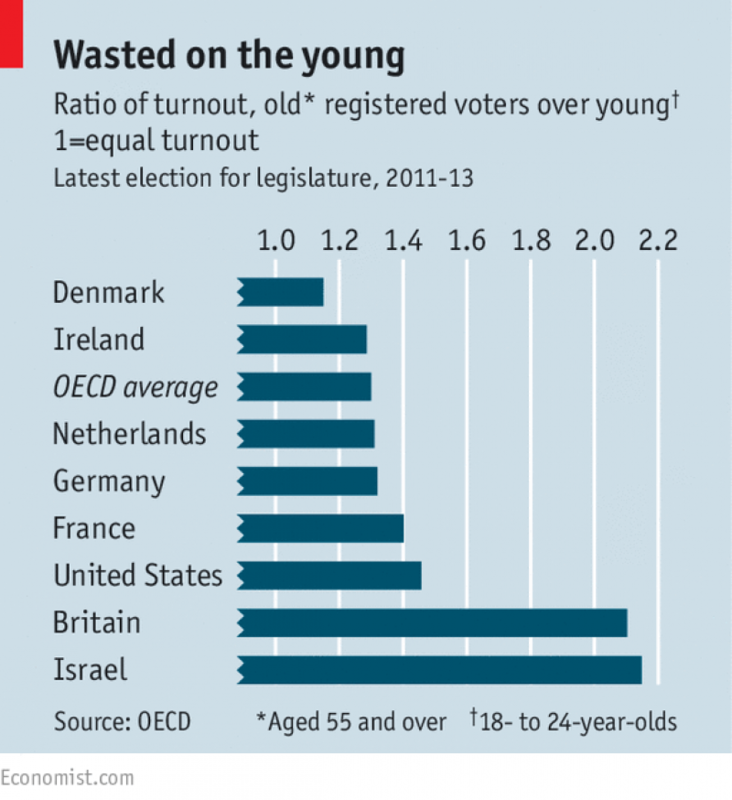 Although voter turnout has been declining across all OECD countries, it has fallen fastest among youth. As shown by OECD research, the under 25s are 20% less likely to vote than those aged over 55. Compared with their elders, young people are more cynical about the value of democracy and less hopeful regarding their ability to effect change. 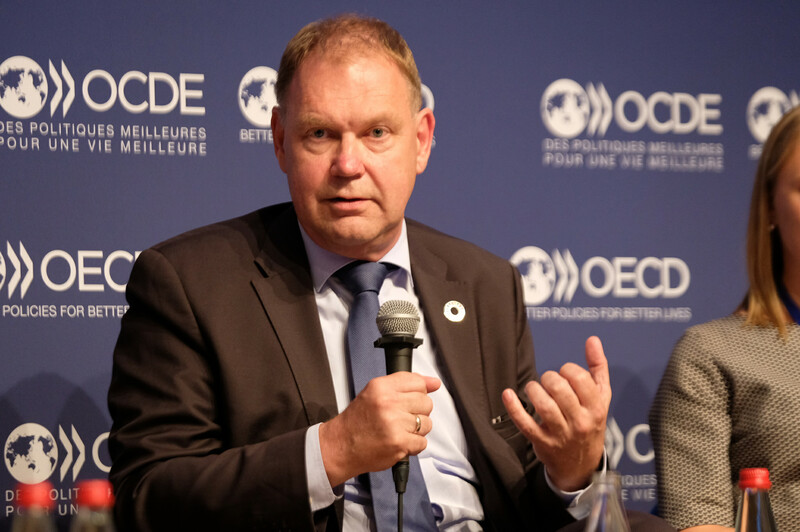 Aart de Geus, Chairman and CEO, Bertelsmann Stiftung set the tone for the discussion, “I see it as a serious problem that the young generation has given the harshest assessment on the failure of current democracy”. According to Bruce Stokes, Director of Global Economic Attitudes, Pew Research Center older generations are more concerned with local issues, such as taxes and crime, while younger generations give more importance to broader challenges, such as climate change. One of the reasons behind low youth turnout might be that traditional political parties fail to adequately represent young people and to address their needs. As Anna Widegren, Secretary General, European Youth Forum pointed out, “In Europe, 0.5% of parliamentarians are under 30. That means very few people actually speak up for young people”. While millennials have started to turn away from traditional forms of political participation, they are not necessarily indifferent. Ms. Widegren strongly opposed the idea that young people are passive and uninterested when it comes to politics. She argued that if young people cannot make their voice heard through traditional means, they will find alternative channels. 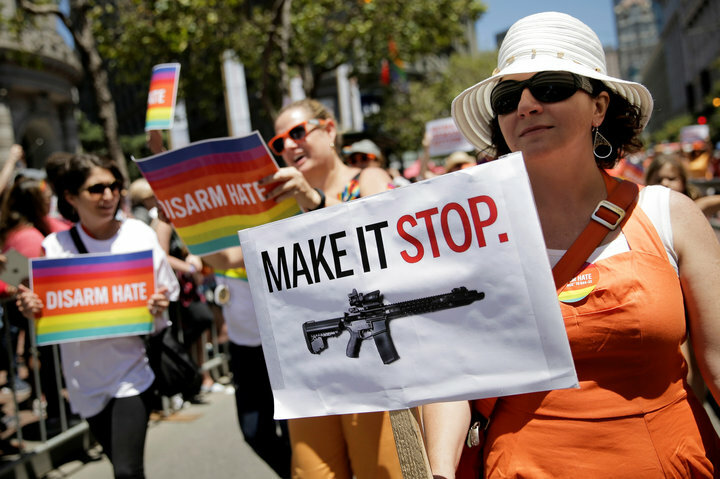 The recent anti-gun movement launched on social media by a group of high school students in the United States, following a mass shooting in a school, is a prime example of the younger generations’ capacity to resort to non-traditional forms of civic engagement. The Internet has an important role to play in fostering participation among digital natives. Donald Trump and Emmanuel Macron’s electoral campaigns were crucial instances of the incredibly strong impact of social media on the political scene. As Mr. de Geus stated, young people find it easier to connect to questions that they can contribute to, engage with and debate. Less concerned with local issues than their elders, through social media they can find opportunities to discuss topics that matter to them outside of their immediate community. Eva Zeglovits, a political scientist from Austria, pointed out that unconventional forms of civic engagement cannot replace voting. Voting remains the most egalitarian way to make ones voice heard. All panellists agreed that lowering the voting age to 16 in Austria, Malta and Scotland during the 2014 independence referendum enhanced youth turnout and could be part of the solution in other countries as well. As Ms. Zeglovits argued, Austrian data shows that voters under 18 were more prone to vote than voters aged over 18. 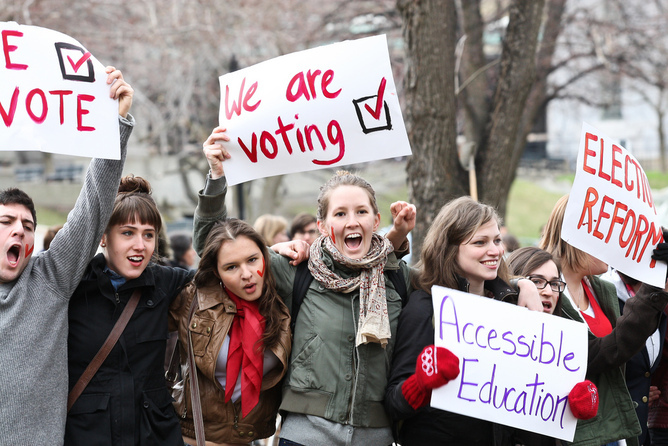 Appropriate civic education is key to ensure that these young voters acquire a voting habit early on in life. Mr. de Geus also suggested that policy makers should focus on the issue of demographic decline facing many OECD countries. Since young people are outnumbered by their elders, a situation that is likely to worsen in the next decades, their political leverage will remain limited. Ensuring a better work-life balance would allow people to have more children, which in turn might help restore the demographic balance. Ms. Widegren also called for social policies better suited to fight against poverty and to ensure decent living conditions for younger generations. At the moment, one in four young people in Europe face social and economic exclusion, and people with lower incomes, lower levels of education, and limited employment prospects vote least, no matter their age. In closing, the panellists emphasised the importance for policy makers and governments to tackle issues that actually matter to youth. It is also essential to unleash the potential of citizens to engage in politics, by regenerating our democracies, and ensuring political parties engage on the issues that matter for people. Are science policy makers ready to embrace the digital revolution?